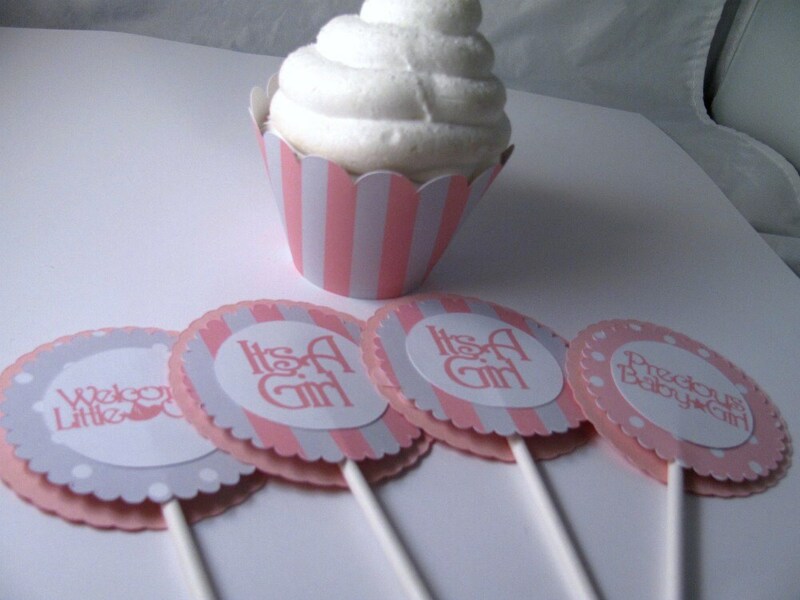 Soft pink and gray cupcake toppers for girl baby shower. 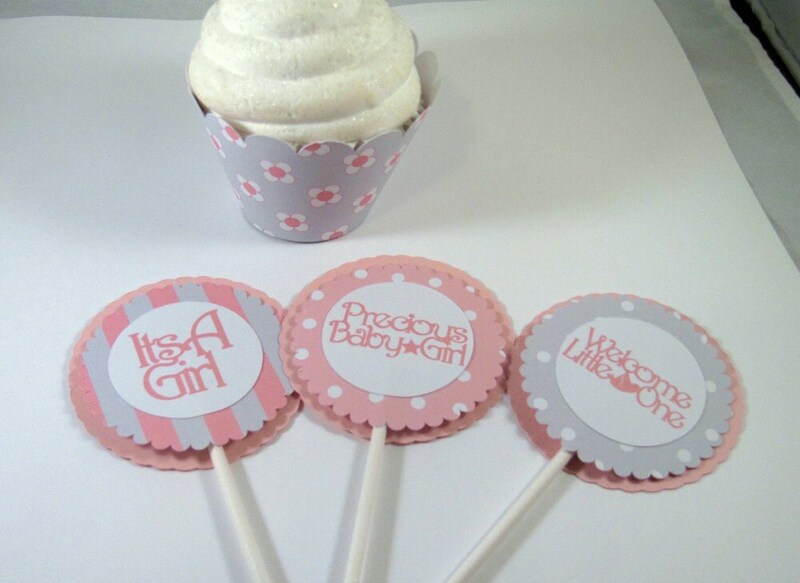 Topper's read "It's A Girl", "Precious Baby Girl" and "Welcome Little One". Topper dimensions are 3" and are 5 1/2" tall. 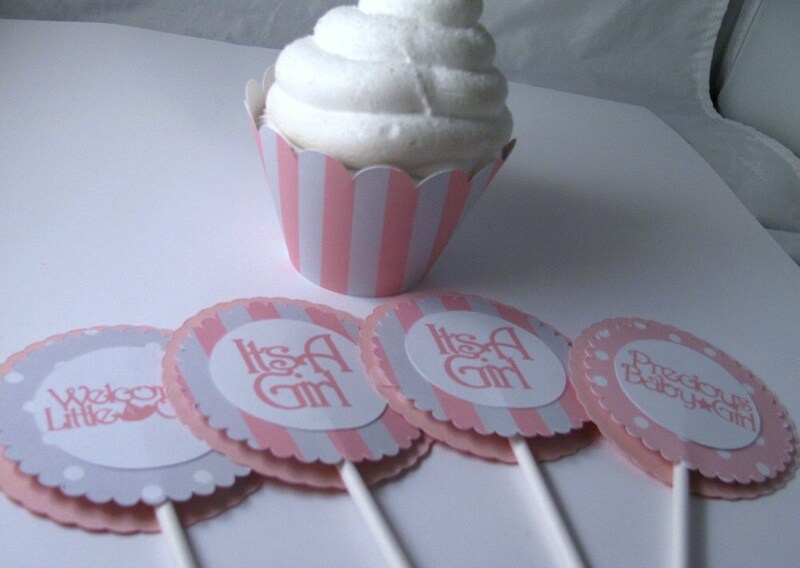 Toppers are sold in a set of 1 dozen, 3 in each phrase. Toppers may also be purchased all 1 phrase-please select from drop down box. 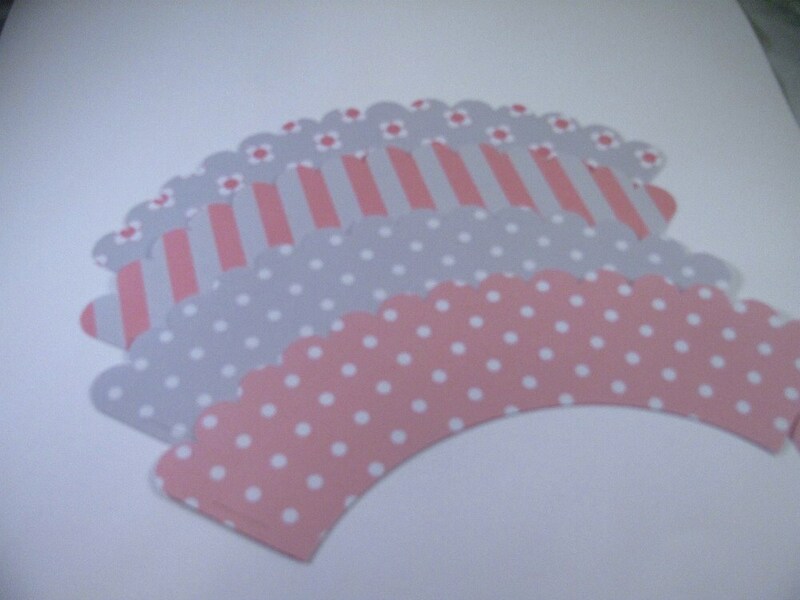 If you need an odd number of toppers please convo me with number desired. 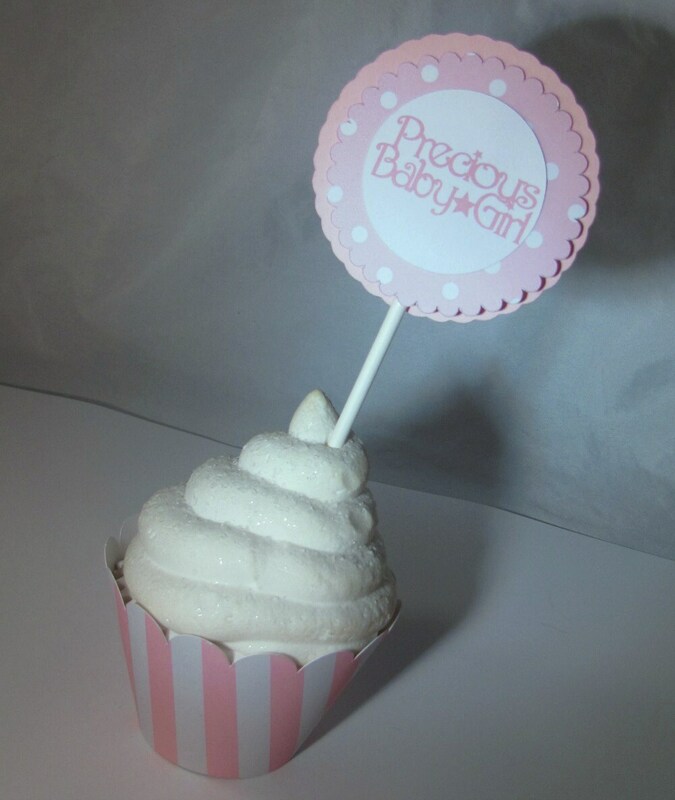 Toppers can also be personalized with baby's name. Please convo me with desired wording.